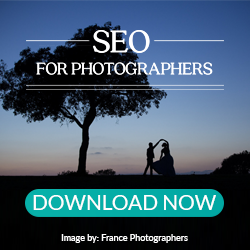 We bring you our NEWEST guide which focuses on Pro Photographer SEO Success Stories. We have partnered with PhotoBiz, another amazing business that shares the mission of helping pro photographers to succeed. Our guide features 8 photo industry leaders who share how SEO has empowered their photography businesses. Continue on to learn more about SEO for photographers. Here at ShootDotEdit, we know how important it is to build and maintain a strong wedding photo website. Although it can be time-consuming to keep up with, your website is one of the most valuable ways for you to communicate your brand with ideal clients. 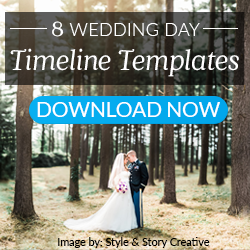 In past blog posts, Scott Wyden Kivowitz from Imagely, a leading provider of WordPress products and services for professional photographers, has shared the top visual and lead generating plugins to use for wedding photographer websites. Today, he will share the best plugins for websites that are made to protect and optimize your site. As a wedding photographer, your website is one of the most important areas to dial in to share your unique brand message with ideal clients. How can you ensure your wedding photo website appeals to and helps you book clients who are perfect for your business? We reached out to Showit, an expert in all things websites, to help you build a strong site that accurately represents your wedding photography brand. As a photographer, one of your main goals is to attract ideal clients to your wedding photography website. Since there are many platforms you can use to attract new photography leads, we reached out to Scott Wyden Kivowitz from Imagely, a leading provider of WordPress products and services for professional photographers, to learn more about his suggestions for top WordPress lead generation plugins that can help you generate more potential clients. As a wedding photography business owner, understanding Search Engine Optimization is a crucial part of your success. When it is done correctly, the right audience will see your content and access your website and blog. If it is done incorrectly, you risk missing out on the clients who matter. Because the rules constantly change and are often complicated, how can you implement SEO techniques that go beyond the basics, without spending all your time on it? We have partnered with one of the top SEO pros in the industry, who has done the extensive research for you! One of the first stops an ideal client makes in searching for a wedding photographer is at your website. Your website is where you share your past photography work and is a reflection of your brand and what clients can expect when they book you. That’s why it’s so important to have all the tools necessary to create a positive experience for them as soon as they access your website. Plugins are a popular feature that helps you expand what your website can offer to ideal clients. 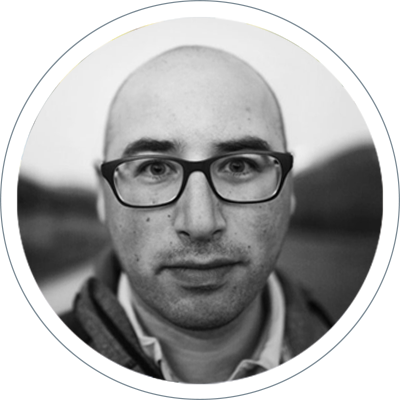 We reached out to Scott Wyden Kivowitz from Imagely, a leading provider of WordPress products and services for professional photographers, to gain his insights on 4 visual plugins to use for wedding photography websites. Does SEO Even Matter for Your Social Media Reach? Social media is one of the top ways for you to attract and book ideal clients. From Instagram, to Facebook, to Twitter, to Pinterest, and more, you have plenty of platforms to use. One of the main objectives of social media is to attract ideal clients back to your website and blog. To ensure your website and blog receive traction, you must have a social media strategy which expands your reach on each platform. Search Engine Optimization (SEO) involves strategies which increase the visitors to your website and blog through search engines. You may be wondering how SEO and social media connect, and if SEO really matters to your overall reach. The answer is that it does! Social media is one of the most effective ways to help build and strengthen your web of links back to your website. In today’s interconnected world, by linking all of your social media profiles, you will start to see all of them come up higher in the rankings. In our SEO Guide, we share ways for you to incorporate links into your platforms to expand your overall reach and get ranked by major search engines, such as Google. Here are a few strategies to help you build links for SEO on your social media platform, so you can expand your reach. The best place to start building links is in editing your social media profiles. Every social media entity that you belong to, active or not, should point back to your site: Twitter, Facebook, Google+, Pinterest, LinkedIn, Instagram, Snapchat, etc. When a bride and groom take the time to search for a wedding photographer on the Internet, the first glimpse of your business they see is your website. As the couple browse through your website, they decide whether or not they want to choose you as their wedding photographer. How can you grab their attention and encourage them to work with you (and spread the word with their friends and family)? Website plugins are hacks to help you increase interaction from your clients, which invites them to learn more about you and your business. Since there are so many ways you can use the technology available today and increase the traffic and bookings to your website, we decided to put a list together of helpful tools you can use. Here are the 6 plugins you need for your photography business to reach ideal clients. 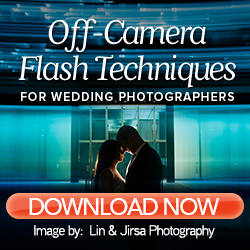 As a wedding photographer, you share content with your clients regularly. With the various social platforms available to you, there are plenty of opportunities for you to reach new audiences. Since it is important to get ideal clients to reach your website, it is necessary for you to use a tool that helps you connect the various channels.